District Trivia is your neighborhood pub trivia game done right! This event will take place EVERY TUESDAY NIGHT at 7pm at the Whiskey Bar. 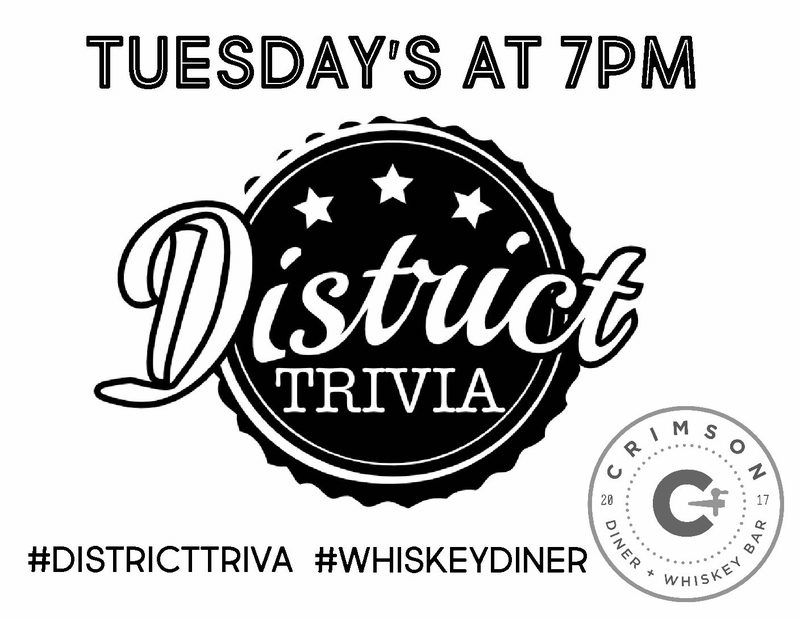 District Trivia is free to play and winners will receive cash and prizes! For more information, visit www.district-trivia.com.